In Case You Missed ALL-A Living Library Thanks You ! DEAR FRIENDS OF A LIVING LIBRARY & LIFE FRAMES, INC. Welcome to the abundant world of A Living Library, or A.L.L., for short. We greatly appreciate your support and engagement. 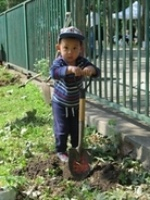 Since 1992, we have been operating on lots of Love, Inspiration, True Grit, plus Grants from city, state and private foundations from the California Strategic Growth Council and Cal Fire to the San Francisco Department of Children, Youth and their Families (DCYF), Roosevelt Island Operating Corporation (RIOC), and San Francisco Public Utilities Commission (SFPUC), to the Ford and Salesforce foundations. A Living Library & Life Frames, Inc. grew out of the Environmental Performance Sculpture of our Founder & Director, Bonnie Ora Sherk. These early Life Frames included Portable Parks I-III, Sitting Still Series, Crossroads Community (the farm), and other public works. Life Frames, Inc. (LFI) today works with communities, libraries, schools and other stakeholders to develop content-rich, healing, ecological gardens and learning landscapes that engage children, youth and adults in hands-on environmental transformation bringing multiple, interdisciplinary, standards-based, Common Core subjects to life: math, science, language arts, history, multi-arts, technology, nutrition, health, youth leadership, and others. 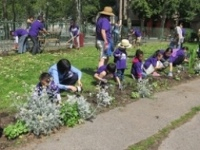 All ages work together to transform their environments, by improving, beautifying, and making their community more ecological. 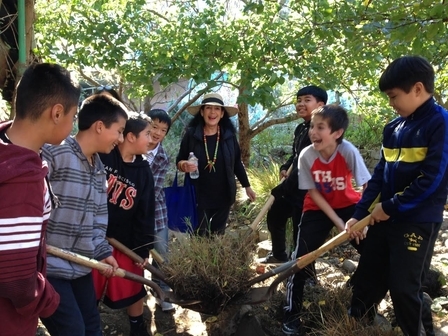 Students and adults learn about natural systems, history, and the rich resources of their local place. Students are also linked via technology to their peers in Branch Living Library & Think Parks in diverse communities, sharing multimedia documentation, live interaction and written communications. A.L.L. contributes greatly to each area by improving the public realm and aiding in community and economic development. A Goal of LFI is to develop place-based, Branch Living Library & Think Parks in diverse parts of the world linked together through Green-Powered Digital Gateways, so we can share commonalities and diversities of cultures and ecologies - near and far. Please enjoy a new, short video - Evolution of Life Frames: past, present, future, and know that A Living Library is currently being exhibited in Seoul, Korea, at the National Museum of Modern and Contemporary Art, Korea, and will be featured in Spring 2017 in a premiere international art venue in Italy, and also in 2017 at the Nevada Museum of Art, Reno, at its international Art & Environment Conference and Exhibition, along with two keynote presentations by A.L.L. 's Founder & Director. 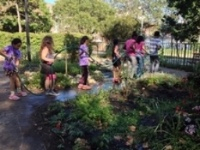 OMI/EXCELSIOR LIVING LIBRARY & THINK PARK with Leadership and Balboa High Schools, James Denman Middle School and San Miguel Early Education School. 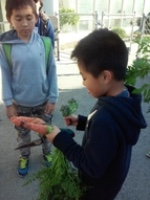 (PreK-12) through year-round learning that transforms the schools and neighborhood environments. 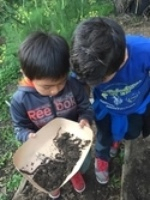 BERNAL HEIGHTS LIVING LIBRARY & THINK PARK with Junipero Serra Elementary School and Junipero Serra Early Education School (PreK - 5) through year-round learning by doing that transforms both schools and neighborhood environments. 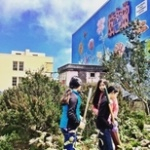 BERNAL HEIGHTS LIVING LIBRARY & THINK PARK NATURE WALK links multiple schools, parks, public housing, streets and other open spaces leading to presently hidden Islais Creek at south side of St. Mary’s Park and Highway 280. Utilizing native, riparian and drought-tolerant species of trees and understory and featuring informative signage describing flora and fauna of the area, this Nature Walk is a prototype resilient landscape that will eventually connect all eleven communities of the Islais Creek Watershed. 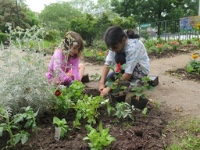 ROOSEVELT ISLAND LIVING LIBRARY & THINK PARK works with diverse PS/IS 217 Beacon students after school and summers; Parents & Children's Garden & Literacy Program with the NYPL Roosevelt Island Branch, International RI communities, and other RI students, community residents and gardeners to further develop and maintain the RI Branch Living Library & Think Park Gardens behind 504 Main Street. COMMUNITY PLANNING, SYSTEMIC ECOLOGICAL MASTER PLAN DESIGN & IMPLEMENTATION for place-based ecological transformation, watershed development and conservation, with integrated whole systems community and school education. Although we have accomplished much, in order for us to Thrive and Grow, we need your support. In advance, we thank you for helping us achieve our goals. A Living Library with all sectors of community, incorporates local resources and transforms them to become vibrant, content- rich, art-filled, ecological learning landscapes; each Branch linked to another.